Located in a prime Midtown location, GPMG is a full-service New York City real estate brokerage dedicated to providing residents with exemplary service and customer care, provide agents unparalleled support and professional opportunities, and to provide partners and clients with maximized real estate asset value. Our company handles the full spectrum of real estate brokerage work, from residential and commercial rentals and sales to new developments, property and facility management. 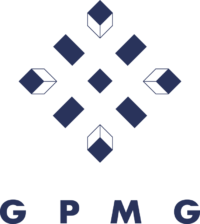 Led by CEO KT Kim, and seasoned veterans in NYC’s real estate industry, GPMG aims to provide the highest degree of professionalism and client satisfaction while upholding the tradition of excellence from which we came. The city is GPMG’s most targeted area for property management. 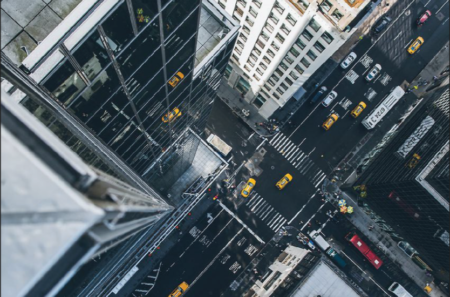 To express this landmark visually, a birds eye view of a city seemed most applicable. The logo below shows four buildings in each corner, and a road in between them which ties the icon together. This also gives off the image of a group which is appropriate for the company.